Angkor Boutique Villa has 8 exclusive rooms. All rooms have garden or pool views with open air concept. Get up fresh and see the sunlight when open the wide screen door. Enjoy private sitting area. Angkor Boutique Villa has its own unique Khmer Art painting wide screen on the wall of each room. This mixes well with modern design of light system, wide bath room with separate shower and toilet and bathtub with wide screen window is also available in Double Deluxe room for Honeymoon package. 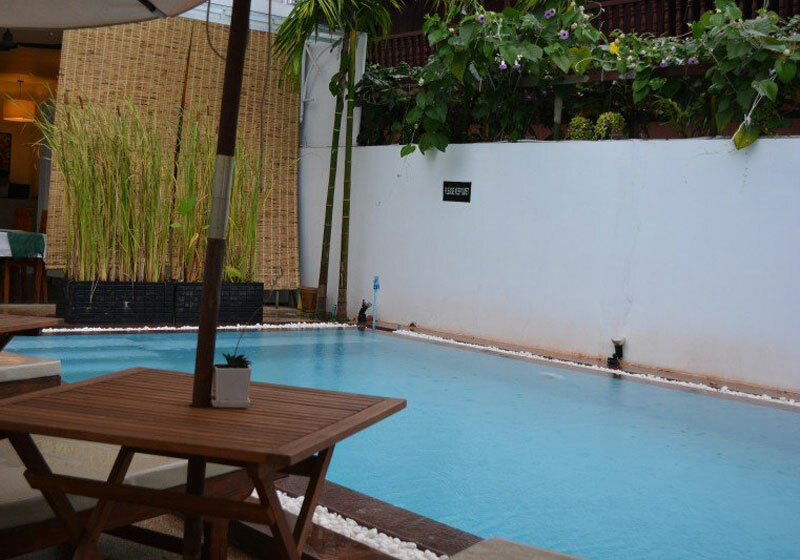 Angkor Boutique Villa has also got salt water swimming pool, La Villa restaurant offer Asian and Western Food either set menu or Alar Carte, the bar is open late until 10pm and lobby lounge for relaxing. Short Description: Angkor Boutique Villa has 8 exclusive rooms. All rooms have garden or pool views with open air concept. Get up fresh and see the sunlight when open the wide screen door. Enjoy private sitting area. Angkor Boutique Villa has its own unique Khmer Art painting wide screen on the wall of each room. Highly Recommended Place Where You Should Not Miss !!! © Asia Travel Gate. All Rights Reserved.